Gut bacteria. The microbiome. The “in-vironment.” No matter what you call it, no doubt you’ve heard of it. The microbiome is arguably the hottest topic in biomedical research today. The human microbiome is, simply put, a collection of tiny organisms called microbes that live wherever our body is exposed to the outside world: nose, lungs, skin, urogenital and digestive tracts. The more we learn about these tiny little things, the more we realize they are a big deal when it comes to our health. Because diet can have a particular influence on it, I’ll focus on what’s in the intestinal tract—also known as the gut microbiome. You may typically think of bacteria as the only inhabitants in your belly, but the gut microbiome contains other tiny things like viruses—actually more viruses than bacteria. However, research so far has focused mostly on bacteria, so that’s what I’ll concentrate on here. The human microbiome contains viruses, fungi, archaea, and single-celled eukaryotes in addition to bacteria. Traditionally, it was thought that we are born without a microbiome and obtain it solely from contact with our environment. Some researchers now believe that there is some transfer of microbes to babies starting in the womb. The human microbiome is estimated to weigh about 2.5 pounds and have a volume of 3 pints. Weird, right? Microbial cells are estimated to outnumber human cells by 10 to 1—350 trillion microbial cells! And there are three times more bacterial cells living in the microbiome than human cells. Read: in a sense, we are more microbe than human. Now let’s shift to the gut microbiome. How does it impact your health? You and your gut bacteria are described as having a symbiotic relationship, that is, you both benefit from each other. Humans provide the microbes with a place to live and nutrients to eat while the microbes help humans with a number of body processes. These processes include breaking down, production, and absorption of nutrients (a big deal in my world); improving gut motility; decreasing “leakiness” of the intestinal barrier; enhancing the immune system; and developing neurons. When you read that list, you can see how important a healthy gut microbiome can be. So when it gets out of whack, called gut dysbiosis, your health can be affected in a number of ways. Gut dysbiosis has been linked to many disorders including obesity, insulin resistance, diabetes, hypertension, heart disease, depression and other mood disorders, liver disease, inflammatory bowel disease, Alzheimer’s disease, and certain cancers. Eek, right? Now, it must be said, these are complex disorders with multifactorial causes, however, the gut microbiome has emerged as one cause that can no longer be ignored. We know that what you put in your gut, i.e. your diet, can influence your microbial makeup. However, to say diet is the main culprit in gut health would be a gross overstatement. The gut microbiome is impacted by a lot of different things—your genes, your immune system, infections, antibiotic use, hygiene practices. But because diet is one of the more malleable factors, let’s talk about what diet components can affect your gut health. When studies look at diet and the gut microbiota, they are typically looking at the diversity of the bacteria—that is, what strains of bacteria do you have and how many of each strain are present. In general, having a low diversity seems to cause problems as well as having too much of certain types of bacteria. Read on to learn about the dietary components that can have the biggest impact on your gut microbiome. Fiber is a big player when it comes to the gut microbiome. Seriously. Dietary fiber is arguably the diet component that has seen the largest decrease in the 20th century and that decrease has been linked to several health issues. Fiber is broadly categorized into two groups: soluble and insoluble. Insoluble fiber is fiber which is impervious to breakdown and generally passes unabsorbed through the intestinal tract. Soluble fiber, on the other hand, is broken down (or fermented) by the gut bacteria. This soluble fiber is thought to provide nourishment for the bacteria and promote diversity, so it’s a focus of gut microbiome research. 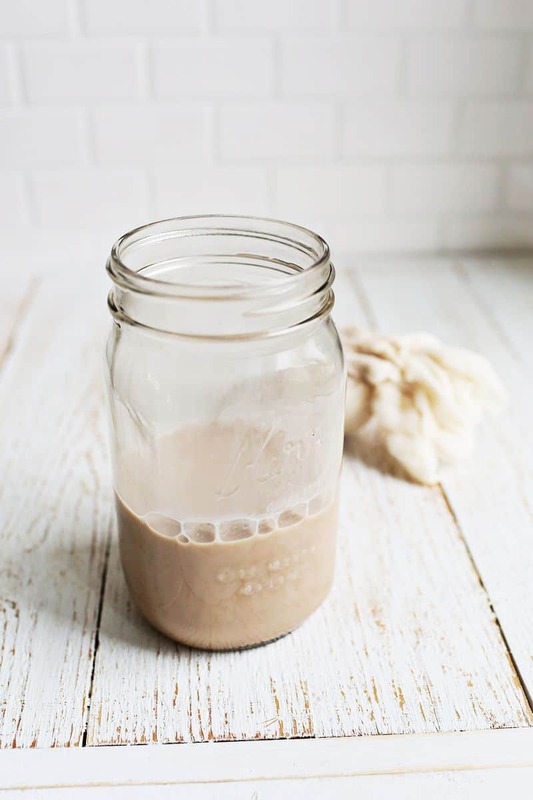 When you hear the term prebiotics, soluble fiber is generally what we’re talking about. Soluble fiber is found in grains, beans, seeds, fruit, and vegetables. Good news, huh vegetarians? The highest sources of soluble fiber are beans, oats, Brussels sprouts, oranges, and flaxseeds. Inulin is a beneficial subtype of soluble fiber that is especially known for its probiotic benefits. You can find it in chicory, onions, garlic, leeks, bananas, wheat, and Jerusalem artichokes. While there is no guideline for soluble fiber or inulin specifically, the Institute of Medicine recommends 25 grams of total fiber for adult women and 38 grams for adult men daily. I would recommend working towards this number as your minimum goal (search fiber content of foods here) and make sure the high fiber foods you’re eating are sources of soluble fiber (including inulin) daily. Fiber supplements are available, but whole food is the way to go. The bottom line here is that most of us don’t get nearly enough fiber and we need to focus on getting more. 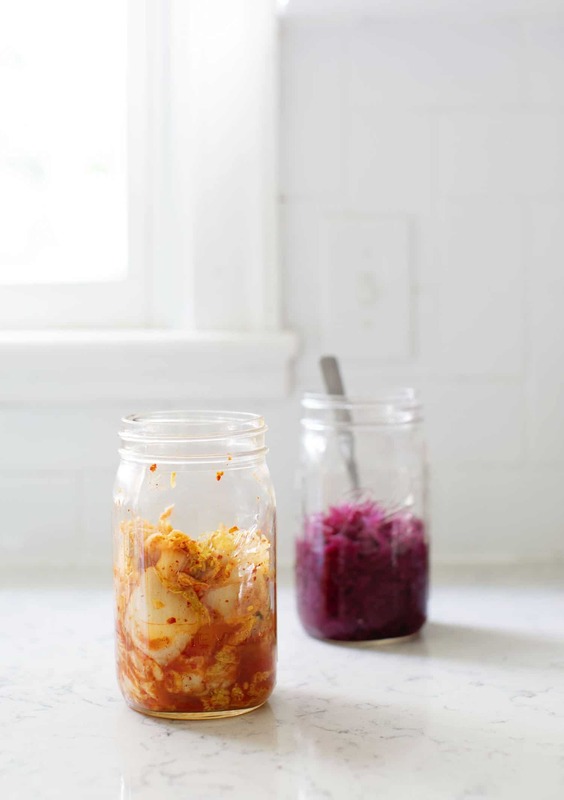 Fermented foods contain probiotics—food or supplements that contain live, beneficial bacteria—which may improve your gut’s microbial richness. These foods include kombucha, yogurt, kimchi, sauerkraut, saurruben, and kefir. Many folks find that even though they can’t tolerate the raw form of a veggie, they don’t have the same issue with the fermented version—like the cabbage in kimchi and sauerkraut. The great thing about fermented veggies is you get the prebiotic and probiotic benefit in one! You can easily make your own fermented veggies with zero special ingredients or you can buy them at the store. Just make sure the vegetables say “raw” on the label and they should be found in a refrigerated section. The sauerkraut in the pickle aisle doesn’t have the same effect. And a quick yogurt recommendation comes from Stonyfield; their whole-milk, plain, organic yogurt is top notch due to the high-quality ingredients and variety of probiotic strains. A diet high in simple carbs, like sugar and refined grains, may contribute to unfavorable changes in your gut microbiota. The theory here is that the type of carbohydrates you eat (more simple vs. more complex) encourages your microbiota composition. The microbes that are associated with a diet higher in simple carbohydrates tend to be in the “bad” category. This just adds to the number of reasons we RDs continue to recommend limiting the stuff. In the literature, I’ve seen both a high meat diet and a vegetarian diet proposed as contributors to gut dysbiosis. A diet high in meat has been proposed to reduce healthy bacteria while a vegetarian diet has been proposed to reduce stomach acid, which is implicated in an increase in “bad” bacteria. While I don’t feel there is sufficient evidence to say one or the other is better, I will say increasing plant foods (see section on fiber) does seem to promote gut health. I don’t think this means eating meat is bad, but I will continue to recommend it as a side item as opposed to the main feature and I recommend being picky about your sources of meat (my ideal scenario is free-range, grass-fed, and organically raised). One last thing: This post is meant for healthy adults. If you have a history of any diseases or are having significant gastrointestinal symptoms, you should run these changes by a doctor and/or registered dietitian to be on the safe side. 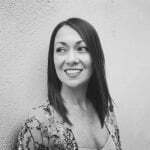 A note from Sarah: Awesome info, Lindsey! One quick word of advice on increasing your fiber intake: Take it from me, it is wise to do it slowly to minimize unpleasant gastrointestinal symptoms. If you’re prone to this, I suggest trying one extra serving of a high fiber food a day for one week or until symptoms decrease, two servings the next week, and so on. You should also make sure to drink plenty of fluids when increasing fiber. Check out my post on fluid intake here. The same is also true for fermented foods; increase these slowly to test your tolerance. Credits // Authors: Lindsey Kelsay with contributions from Sarah O’Callaghan. Photo: Emma Chapman. Writing these has made me have to pull back some information from my very first nutrition classes which has been fun. Thanks! This is such a good synopsis! I’ve really been wanting to improve my gut health the last couple years, so this is perfect! I am really impressed with this post! There is so much information, without being overwhelming, and it is really well written. These gals know their stuff! I get migraines, which seem to originate entirely from foods – particularly fermented or with preservatives. It’s so frustrating because it’s how the food is broken down over time, so I can eat something and I wont feel sick until I wake up the next day. I’ve had to cut out most meats, Asian sauces, and all alcohol (which I basically cut out already). Gut problems are no fun! I really appreciate you drawing attention to this science, I’m looking forward to all the studies that will come out about how much the gut affects our health. You make a good point – gut health is complex and different people are affected different ways. We are just beginning to understand much of it but, fortunately, have come a long way. I’m on the EDGE OF MY SEAT HERE. I ate this post up. (Pun intended). LOL. Puns always should be intended as far as I am concerned. Par 2 is in the works! Thanks for such an informative and concise yet easy-to-read post with the science to back it up! I’m really interested in these topics but often don’t know where to start in terms of gathering information. Believe me, you are not alone. There is so much out there! Happy to help break it down! Can’t wait for the next post, I was just talking to my husband about probiotics and wondered if you have to take it everyday? I know NOTHING about them so these might be dumb questions but maybe it will help your next post? If it’s something that already exists in your body, wouldn’t taking more everyday lead to your body not producing it’s own? Kinda like taking a melatonin supplement can make you body dependent on it. These are not dumb questions! And they are very helpful for me to determine what to put in the next post! Thanks! Thank you so much for all the great information! Will you please include prebiotics in your part 2? Truly enjoying this series! Laura – when we talk about prebiotics, we are essentially talking about fiber. Check out the section above for more information! Thanks for reading!